Louise Giblin is a British sculptor who grew up on the Isle of Wight and now lives and works on the East Sussex/Kent border near Tunbridge Wells, UK. She was elected to the Royal British Society of Sculptors as an Associate Member in January 2010. Giblin studied Three-Dimensional Design, Fine Art/Sculpture B.A. and the History and Theory of Modern Art M.A at Portsmouth, Brighton and Chelsea (London Institute) colleges of Art and Design. She was taught by Antony Gormley (creator of â€˜Angel of the Northâ€™), Peter Randall-Page and Edward Allington. Giblinâ€™s sensual sculpture is produced in ceramic then cast in bronze, translucent resin or cold cast metals. Her subject matter is portraiture and the human form, often involving detailed, overlapping, fragmented or abstracted imagery. 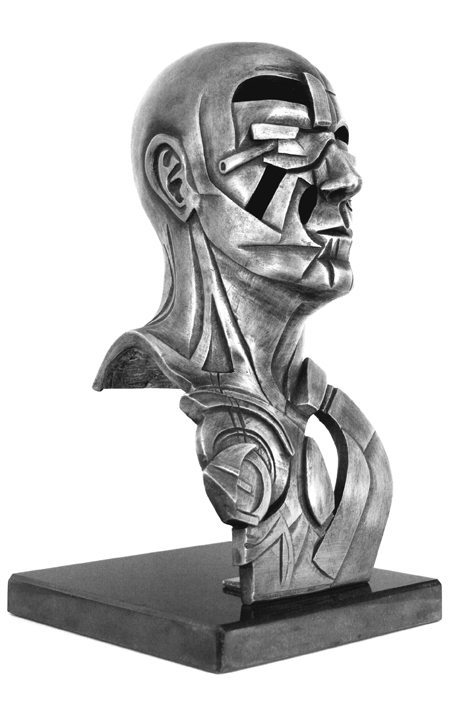 The sculptor develops ideas from observation sketches, digital imagery and written works. Giblinâ€™s work has been exhibited in London, New York, Oxfordshire, Northampton and across the South of England. Her first solo exhibition in Hong Kong will take place August 2010.